Personally I’ve never been afraid of heights to a great extent. Sure, the uneasiness of being at the top of a roller coaster or the edge of a rocky mountain makes knots in my stomach, but it’s nothing anxiety provoking. However, a fear of heights is nothing to joke about, as it is a real phobia that some people have, and I have always been very curious about it. Acrophobia, the scientific name for this extreme fear of high up places which is often ongoing. As all phobia names are, this name comes from the Greek language, and the beginning part of the work “Acro” means height- translating to height fear. This fear has always been existent throughout human history, however people first started noticing it when they aged, due to their balance wearing off, so this pattern was what helped discover this phobia. So since this fear usually pops up so late in life, what causes it? According to Steven P Wickstrom, something when you were younger probably set you on a track to be afraid of high up places (ex: a horrific event or something you watched happen). Since this phobia can be debilitating to a person’s life, how can it be cured? There are a few steps to overcome Acrophobia. In the moment, positive thoughts, counting, and deep breathing can be effective to suppress the anxiety. However, for the long haul, Hypnosis and learning about the phobia itself are key ways to tackle it as to recoil your mind. Have you ever had a dream regarding a fear of heights? Or even a falling from a high place dream? These can often be connected to a feeling of low confidence or a similar situation that resembles the one the person dreamed of. According to the Dre am Symbolism dictionary, dreams can be seen as metaphors for real life, so if a person dreams of falling from a high up place or being scared of heights, they may subconsciously have this fear. symptoms worsen sometimes CBT (Cognitive Behavioral Therapy) can be used to treat the phobia. 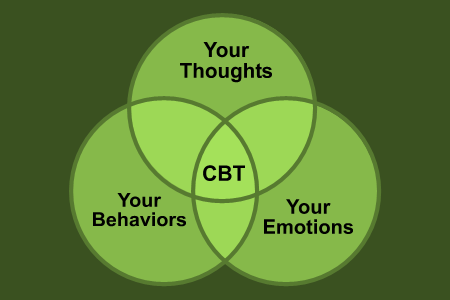 CBT is a psychological therapy that is used for changing people’s thinking, actions, and feelings all together. I was curious to learn more about the details behind a person’s fear of heights, so I hope this helped somebody else on this blog learn more too. This entry was posted in Uncategorized on October 19, 2016 by Danielle Megan Sobel. I’ve never been afraid of heights, but i never quite understood it. Are people really afraid of being high up? Or could it be they just afraid of the potential to fall? Perhaps that could be another way acrophobia is caused. If someone was on a high place, and almost fell, they could begin to fear being up high altogether. Well if anyone reading this comment has acrophobia, here’s some things you can do to help with that. I developed a fear of heights only a few years ago. However, I’m only afraid in certain situations which makes my fear hard to pinpoint. I think it’s interesting how I developed this new fear that had never been a problem in my early childhood. I wondered how this was possible to develop a fear 16 years later, so I did some research and found exactly what I was looking for. http://www.dailymail.co.uk/health/article-3523436/Why-develop-fear-heights-age.html The article discusses how, as we age, many people develop a fear for heights which is usually due to our decreased sense of balance; pretty interesting! Although there wasn’t much data or scientific experiments to back up these findings, I enjoyed reading your blog. I don’t think I have acrophobia, but I do get uneasy when up high. More so, I find myself scared of G-forces, such as the stomach drop, speedy feeling of a roller coaster. This article (http://minnesota.cbslocal.com/2012/05/16/good-question-why-does-your-stomach-drop-on-a-roller-coaster/) attempts to pinpoint exactly what is going on when your stomach drops by gathering an abundance of scientific findings. However, I cannot locate a specific “phobia” associated with the feeling, just a commonly understood feeling of discomfort. If you can, let me know in your next blog!